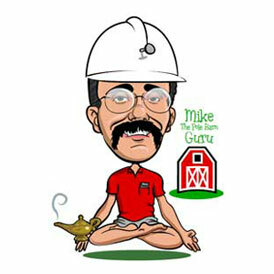 This week, the Pole Barn Guru discusses moving a building, a building with moisture issues, and siding options other than wainscot. DEAR TED: Sadly I just cannot see a scenario where moving this building becomes truly practical. 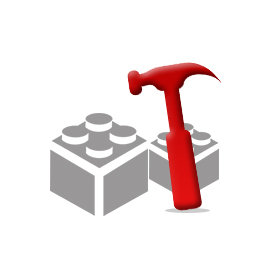 If you have lots of free time, you could completely disassemble it and rebuild in a preferable location. However, you are reusing materials and things never seem to fit back together as tight as they did originally. If you are not going to rebuild, you might consider offering it to someone who will take it down and haul it away – it would save you time and effort and someone else can have headaches of teardown and rebuild. DEAR POLE BARN GURU: I had a 30×40 built 14 feet high. Vapor barrier was used, insulated walls and vapor shield on top of the trusses, Vented over hangs and a ridge vent, insulated ceiling and metal on the walls and the ceilings. Whenever I pull in my vehicles wet and leave them in there I get moisture all over everything. Now I am noticing green mold on the plywood work bench and in some various spots on the loft I built. I do not have any heat in there as I was not concerned about it being real warm in there, but I am wondering if am going to have to heat it to get rid of the moisture? DEAR GREG: Your steel liner has created a surface trapping any and all moisture inside of your building. In my humble opinion you have just one more example of why steel liner panels are not a good design solution for most buildings. Just water alone, dripping from your vehicles, will probably not add enough moisture to create your described situation. 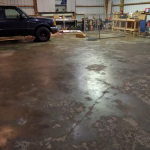 Step number one in solving your challenge – unless you know a well-sealed vapor barrier exists underneath your building’s concrete floor, use a good concrete sealer upon it. This might be a product you should consider: https://www.hansenpolebuildings.com/2018/11/siloxa-tek-8505-concrete-sealant/. Unless you have taken steps to prevent moisture from migrating through your concrete slab, adding heat will merely draw even more water up through this slab into your building. Secondly, you need to get moisture out of your building by adding a powered exhaust vent, a dehumidifier or both. DEAR ROB: Even with Code mandated six inch minimum hold up above grade for vinyl siding, it experiences a significant amount of damage just as you describe. Our house has steel wainscot and it has performed admirably other than where our daughter-in-law drove a riding lawn mower into it. All it took to repair was removal and replacement of a few short steel panels. 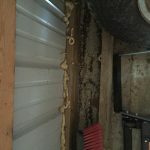 This entry was posted in Constructing a Pole Building, Pole Building Siding, Ventilation, Alternate Siding, Workshop Buildings and tagged Siding, moisture issues, moving structures, moving building, alternative siding on January 28, 2019 by admin. Today’s blog discusses double skirt boards, siding options and foundation plans. DEAR KENNY: The Hansen Pole Buildings’ warehouse has the exact same situation. The interior splash plank is doing nothing for you or your building, feel free to remove it. 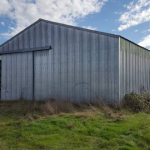 DEAR POLE BARN GURU: Can the steel exterior panels be omitted? 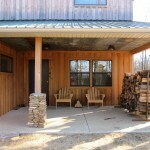 I plan to install log siding and false log corners to match the appearance of my new log home. DEAR BILL: In short, yes – we can provide a building ready for you to side. What we most typically provide is 7/16” thick OSB over bookshelf girts 24 inches on center, with housewrap over the sheathing. If your false log siding can structurally provide resistance to shear, the OSB could be omitted, however this would not be my recommendation. DEAR JOE: All Hansen Pole Buildings come with complete engineered foundation plans based upon your specific building, upon your site and reflecting the soil bearing capacity confirmed by you. This entry was posted in Pole Barn Planning, Pole Building Siding, Footings, Alternate Siding and tagged foundation, Siding, concrete footings, skirt board on July 9, 2018 by admin. DEAR JUD: Typically it is not cost effective for either our clients or us to provide just a handful of components for a building, especially if we (and our engineers) are responsible for the structural design of the building. We most often supply all of the components required for assembly, other than concrete, rebar and any nails which would be commonly driven by a nail gun. This gives our clients the most value for their investment, as well as insuring the components being furnished are meeting with the structural requirements of the plans. 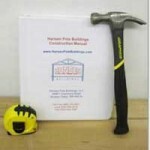 A Hansen Pole Buildings’ Designer will be in contact with you shortly to discuss details with you. 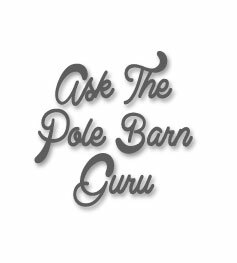 DEAR POLE BARN GURU: I am within a few weeks of placing my order for my residential kit but I have a question about siding. My wife has veto’d metal siding so we will be specifying either hardie board siding or LP Smartside. I’ve been assuming that in order to use such siding in place of metal, the walls must be sheathed with OSB for structural reasons? I’m guessing that the OSB sheathing would not have enough holding strength for the siding to attach directly and that I would need to install vertical furring strips nailed to the girts in order to attach the siding? The problem is that I have heard stories about waves in the siding when attached this way. What does one need to do in order to prevent wavy siding? DEAR LONNIE: Most jurisdictions will allow panels (4′ x 8′ typically) of cement based siding or LP Smartside to be installed directly over framing (wall girts) spaced up to 24 inches on center. My guess is you are looking at doing a lap siding, in which case the walls would need to be first sheathed with either 7/16″ OSB or 15/32″ plywood in order to carry the wind shear loads. When this is the case, we plan upon furnishing 2×4 vertical blocking every two feet to give a positive attachment for the siding. In order to prevent wavy siding – just don’t use it. I’ve installed a fair amount of lap siding (back in the day) as well as seen it upon numerous buildings and at some point it always has waves. Why? It is a function of expansion and contraction. If the siding is applied when cold, it will wave between fasteners when it heats up. Applied warm and as it shrinks it strains against the end fasteners and gets gaps between end joints. All-in-all, maybe not the best aesthetic solution. 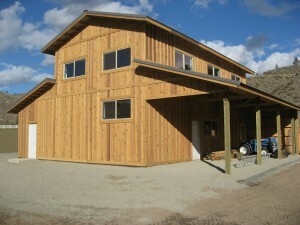 I currently own three different post frame (pole) buildings. The oldest two are sided with 1×8 cedar channel run vertically (I wanted to match the house). When I painted the buildings for about the fifth time, my lovely bride asked me why I had not put steel siding on them to begin with, as it would have been maintenance free (not to mention less expensive). 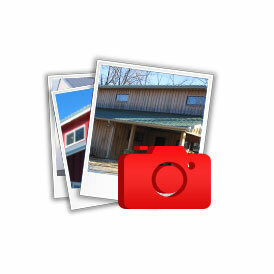 Right now I live in a magnificent post frame home – with steel siding. Wouldn’t have it any other way and my wife will agree it is by far the best solution for both looks and durability. In the end – people will notice the colors, but chances are the great majority will never pay attention to what the actual material is. One of the senior Hansen Pole Buildings’ Designers will be in contact with you shortly to assist you with your new post frame building. This entry was posted in Pole Barn Design, Steel Roofing & Siding, Pole Building Siding, Trusses, Alternate Siding, Columns, RV Storage and tagged Siding, Roof Only, RV Cover, Kit materials on March 13, 2017 by admin. 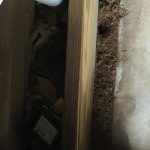 Consider Post Frame for New Home! DEAR THOMAS: Thank you for your inquiry. 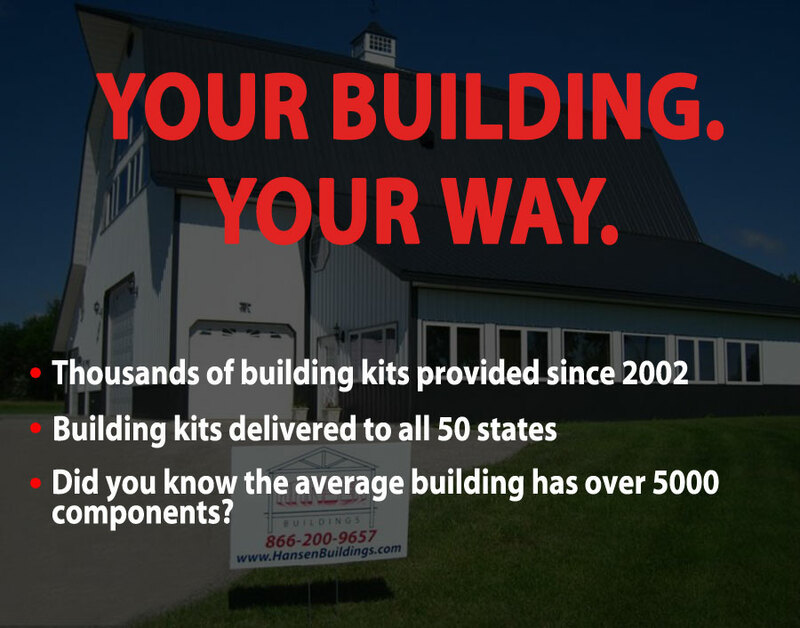 Hansen Pole Buildings provides engineered post frame buildings in all 50 states, including Tennessee. Post frame (pole) building homes have become quite popular in the past few years and chances are excellent we can provide a customized building shell which will ideally meet with your needs and budget. We outsource our metal roofing and siding and we can provide the building sans roofing and siding in the event you should wish to provide your own. DEAR LONNIE: Your assumption, “as long as opposite side posts are aligned so that the trusses are supported, the post position can be varied somewhat” is absolutely correct. In most circumstancing having the sidewall columns spaced at 12 foot on center is your most economical, so anything at this spacing or less should not be an issue from an engineering and design standpoint. When you arrive at an ideal spacing, please make sure it is listed on any quotes and invoices, otherwise there is always the possibility of columns being reorganized to the most cost effective combination. “With standard steel ridge caps, the ridge purlin “uphill” side can be no closer to peak than five inches. This may result in space between ridge purlin and next purlin “downhill” being decreased. Ridge purlins can be further from truss peak than the minimum distances, without negatively affecting building. Roof ridge caps attach to roof steel with metal-to-metal screws, not to ridge purlins, so ridge purlins need not align with future ridge cap fastener locations. 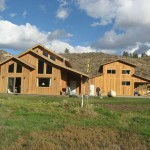 This entry was posted in Pole Barn Design, Roofing Materials, Constructing a Pole Building, Pole Building How To Guides, Pole Barn Planning, Steel Roofing & Siding, Pole Building Doors, Windows, Columns and tagged ridge purlins, Siding, roof steel, Post Frame Home, Roofing, pole spacing on January 16, 2017 by admin. Back in the late 1960’s in Spokane, Washington Joseph “Joe” Mazzie started Pacific Metal Buildings. Joe is from my father and uncle’s generation and, being in construction (and living in the same general area of town) they were acquainted. Joe developed a reputation as a shrewd businessman, as well as a colorful character. The story is told of Joe driving around town in his “comfortable” car, with ten grand and a revolver in the jockey box. If Joe found a deal on something he could resell, he’d negotiate an even better deal by offering cash on the barrel head for it. He found he could buy ‘seconds’ (for more info on seconds: https://www.hansenpolebuildings.com/2014/06/1-steel/) from the steel roll forming companies for 50 cents on the dollar. He bought pretty much all he could, storing the panels in one of several of his warehouses. When I was building post frame buildings in the 1990s, we would occasionally have a client decide they just had to have a different color than what they had ordered – and Joe would buy the original panels from us at the same price level. 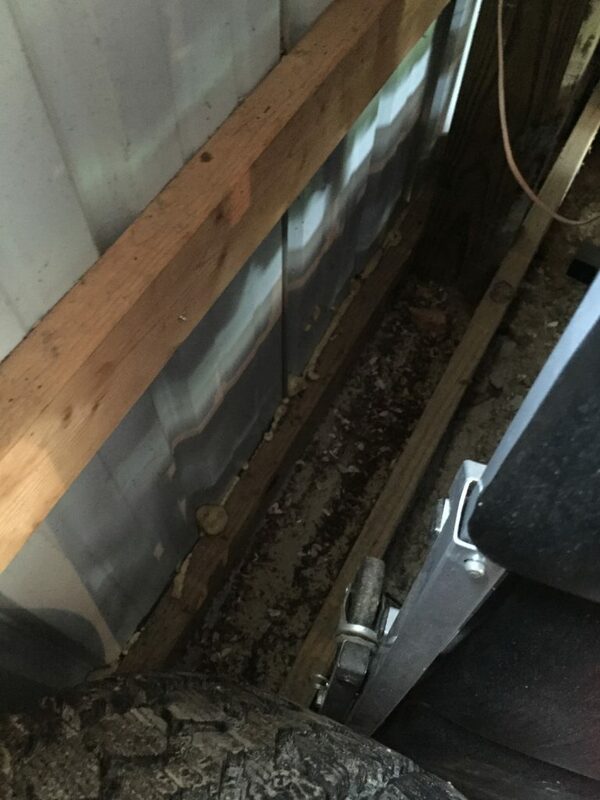 Joe was smart, he built stick frame barns, garages and shops – running the walls steel panels horizontally, so it would not matter where the splices were, as there were vertical studs every two feet! This made a great way of using up whatever he happened to have in inventory. 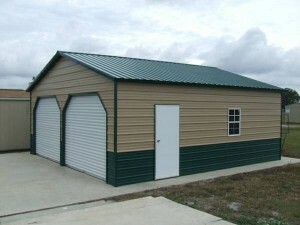 Hansen Pole Buildings has provided a limited few clients with wall horizontal steel siding, for aesthetic reasons. Some folks just happen to like the look. There are some considerations to be accounted for. In order to attach the panels, wood framing needs to be provided vertically either between or across the wall girts. 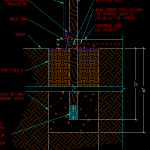 Most steel roll formers are limited to the production of panels over 40 feet in length. Walls over 40 foot long, will require splices, which some clients may consider unsightly. Steel panels have a net coverage of 36 inches, plus an overlap. The siding should be held up four or more inches from the bottom of the pressure preservative treated splash board. To minimize material waste, eave heights (for buildings without overhangs) or distance from grade to the underside of enclosed sidewall soffits should be measurements such as 9’6”, 12’6” or 15’6”. Standard corner trims are designed to ‘land’ in the flat area of vertically placed steel panels. The same trims can be used, however expanding foam closures should be placed underneath the flanges of the corner trims, to seal the spaces between the high ribs. Like the affordability and maintenance free aspects of roll formed steel siding, but want a different look? If so, horizontal steel siding might be the solution! This entry was posted in Uncategorized, Steel Roofing & Siding, Pole Building Siding and tagged Siding on October 6, 2015 by admin. For my step-son Kevin, this one word pretty much covers everything. He and his identical twin brother Josh have always gone by the premise of – if it moves- kill it, and if it doesn’t move, prod it until it moves, then kill it. Kevin loves to hunt, and if he isn’t hunting, he is fishing. He owns pretty much everything which can be camo. I swear he has camo skivvies. A few years ago, one of our steel roofing and siding suppliers came out with camo steel for buildings. My first thought was – why? Then I realized, for those like Kevin, there would be a million and ones uses – hunting blinds, fishing shacks, heck (in his case) – the walls of his family room. Today I got an Email from one of our suppliers. 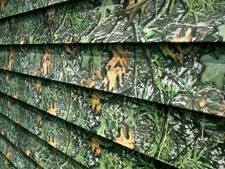 It seems camo has been taken to a new level in the world of construction – vinyl siding. 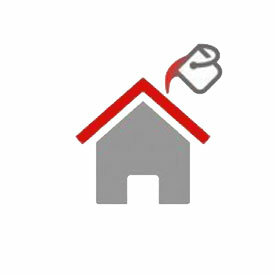 This is certainly a step up the building chain from blinds and shacks – we are talking about homes, garages and shops! Now I live in the woods, where it is fairly rustic and my neighbors are not ones who are around enough to complain. For those living in more semi-urban areas, there might be a few objections! The camo vinyl siding is ideal for any climate, and has a Kynar® PVDF film finish for advanced color protection. It is moisture resistant and has a Temp-Rite® high performance substrate to withstand extreme weather. It is impervious to wood-boring insects. The low-gloss finish looks like freshly camouflaged and it never needs painting or caulking. Camo side your new house, garage, barn or shed to either blend in, or stand out. For others like my step-sons who live and breathe anything to with hunting and fishing, ENJOY! 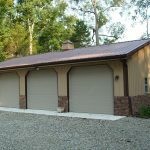 This entry was posted in Building Styles and Designs, Pole Building Siding, Alternate Siding, Vinyl Siding and tagged vinyl siding, pole barn design, Alternate Siding, Building Styles and Designs, Siding on August 8, 2012 by admin.